Charlie Stillitano believes despite the challenges with Financial Fair Play, AC Milan fans should have confidence in Elliott, the Milan management and coaching staff to get Milan back at the top of the football world where it belongs and finish the season in the top four. The Chairman of Relevent Sports, the company that hosts the International Champions Cup, was a guest on the Milan Weekly Podcast where he spoke about several Milan related topics in an exclusive interview. “It’s a blessing that Elliott Management Group took over. I really thought the club needed to bring someone very professional like Ivan Gazidis. I was very pleased, I’ve know Ivan since the mid 1990s, I have always been impressed by his honesty and professionalism and ability to get things done. He’s a soft spoken gentleman but very effective. Stillitano has been a Milan fan since a young age and over the years built a friendship with Milan legend Paolo Maldini. “I was thrilled when Paolo went back to the club, and was also thrilled when Leonardo did as well. It is really a blessing because when the Chinese ownership came in I really didn’t know the people and didn’t really know what they were doing. I knew Marco Fassone well, but to be fair it was a club that was, to put it politely, a little bit in disarray. I couldn’t think of bringing back three better people to the club, number one with Maldini and number two with Leonardo (and Scaroni third) to help bring Milan back to where it was. In a previous role as general manager of the New York/New Jersey MetroStars, Stillitano had ex Milan player Roberto Donadoni on his team. “During my short stint with the MetroStars it was my dream to run the club like Milan, with their professionalism and their class, that could be something that could last forever. Roberto Donadoni had told me many stories about how great the group was at Milan. It was such a good group. They were such a great team how they took care of the players. At the time the interview was conducted, Milan was in fourth place, five points behind Inter and one point ahead of Roma. Stillitano stressed on the importance of finishing in the top four this season and be patient with the investments made in the January transfer window. “The goal has to be finishing in the top four. They (Milan) have to be in the Champions League to compete financially, we all know what the issues are with Financial Fair Play. With the additions of Paqueta and Piatek, they are two special players. I think with two or three more players added to the team they can be a force to be reckoned with in Italy and in Europe. It will take a little time but am very pleased so far. I like what they are doing to bring in young players; they are going to have to be patient. The challenge is having the patience till the team gets it right. Stillitano, whose family origins are from Calabria like Gennaro Gattuso, has full faith in the coach to reach the objectives set this season. The Champions League has been dominated by a few select teams in recent years, and Financial Fair Play (FFP) needs to change according to Stillitano. “I did say many years ago on The Football Show with Giorgio Chinaglia that this Champions League will be dominated by a couple of teams. Then 10 years later we see how it has been won 9 times by two of the same teams (Real Madrid, Barcelona). It is going to be a challenge for AC Milan to get there again. FFP is a very difficult mechanism that puts teams like Milan in a difficult place. If you look at the Champions League it has been dominated by a few clubs and it will be a challenge for Milan to get there. If they get young players and get to Champions League it will be a good start to get them to where they were. The challenge is having patience, Leonardo with Maldini and Gattuso are on the right track. FFP makes things very difficult and I honestly hope there is a way to change things because I think AC Milan is doing everything right. The FFP is unfair and I think there has to be changes in European football to make room for teams to grow and develop, and I hope that comes sooner rather than later. 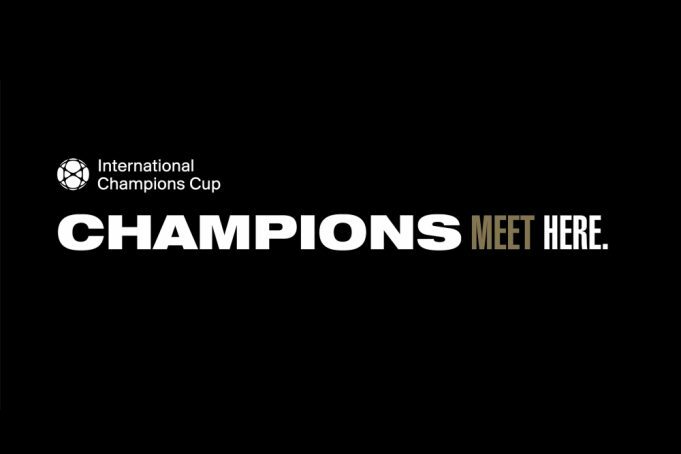 As the person responsible to run the annual summer International Champions Cup, Stillitano explained how he has to balance the wishes of the participating teams while ensuring the tournament runs smoothly and get as many fans possible to go watch the games live in various venues in different parts of the world. He also elaborated on what happened last summer when Milan played two games in California and one in Minneapolis. “(laughs) The funny part is that the old management team of AC Milan was insisting on California. They really wanted to be in California. We really wanted them to be on the East Coast. It’s always a challenge. Right now AC Milan reputation is still very strong in China for example, while in the US and Canada, with the rise of the Premier League, the Italian clubs are searching for their old glory. For me it’s always better to put an Italian club in a city where there is the fan base. This year we hope AC Milan will be back (we are negotiating right now) and trust me, I think they should be playing on the East coast. We work together with the teams and try to please them. In fact, when I asked Gattuso where he wants to play, he felt more comfortable on the East Coast. It’s a give and take; it’s like a puzzle we have to put together. It’s a real challenge when teams can come in, when they have to go back, if they will be involved in European qualifiers. There’s a lot of different issues that come up. Believe me we take into account where their fans are. The funny part is that (last) time around the old management said we’d like to be in California. We were, I think rightly so, concerned that we didn’t have a strong enough fan base on the West Coast. However having said that, the club needs to develop in different areas. I think that is where the English teams have done a great job. The typical fan in North America can name the starters of the Premier League but not so much the Italian League. We’ll always try to bring AC Milan where they have their strongest fan base but they’re also looking to grow their fan base. So that is something we have to work on together. Any possibility of seeing Milan in Canada? “Montreal and Toronto are two of my favourite cities on earth. I would love to bring the ICC in Canada, the challenge is dealing with taxes and other things, it’s a different model. It is very expensive to bring the teams there and different regulations and rules that causes challenges for us.